A rare set of two Air Jordan 3 Retro PE's made exclusively for Derek Anderson with one pair featuring, "Nike Air". Check out the auction here. 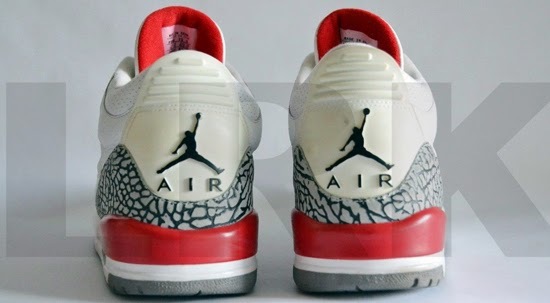 It's not everyday that you see Air Jordan 3 Retro player exclusive's, let alone a pair featuring "Nike Air" on them. But today, you do. 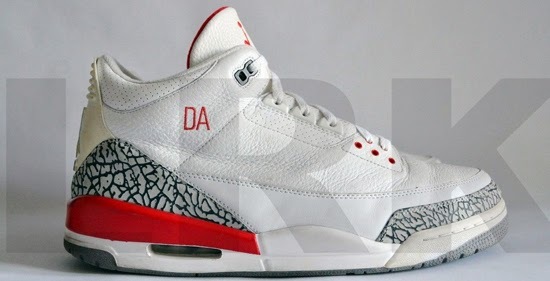 These two pairs were made exclusively for Derek Anderson. Up first is a white, cement grey and black pair from 2001. 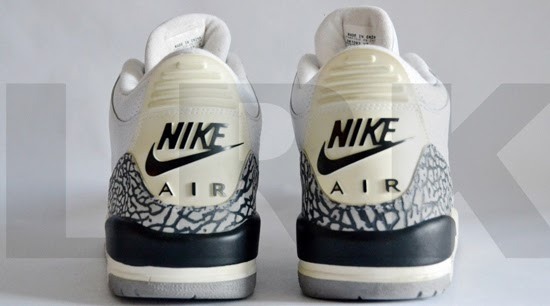 This pair comes in the classic OG colorway and features "Nike Air" on the back heel. 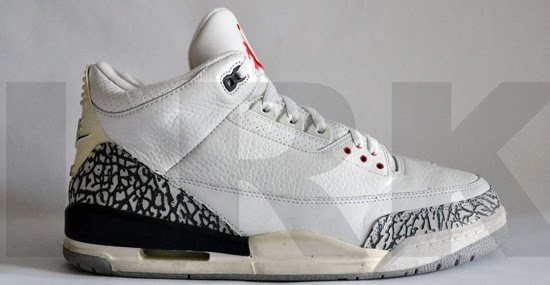 Three colorways of the Air Jordan 3 Retro dropped in 2001 but this colorway was not one of them. The second pair comes in the classic OG "Fire Red" colorway very similar to the "Katrina" auction exclusive as it features a lighter cement print like the one found on the white/cement grey pair and not the originals or the 2007 and 2013 retro's. 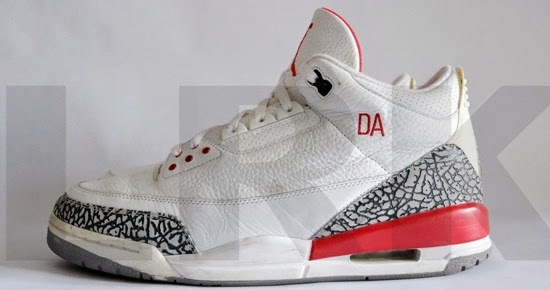 This pair does not feature "Nike Air" on the back but along with the lighter cement grey tones, Anderson's initials "DA" are found stitched in red on the uppers. These were made in 2004. 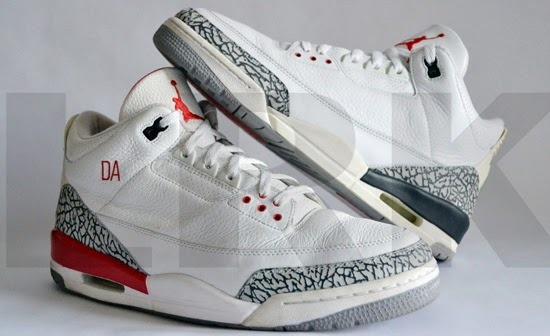 Both of these Air Jordan 3 Retro's were made exclusively for Derek Anderson to wear while he played for the Portland Trail Blazers between the years of 2001 and 2004. As they are PE's, they were never sold in stores or available to the public. 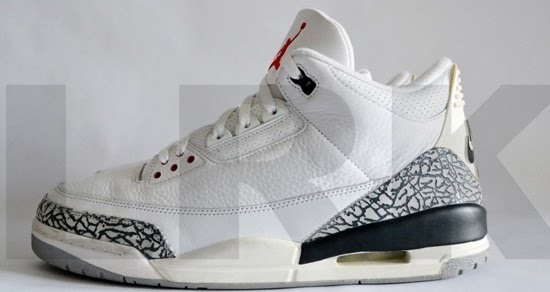 Enjoy the images below of these two Derek Anderson Air Jordan 3 Retro PE's, one coming in white, cement grey and black featuring "Nike Air" while the other comes in white, fire red and cement grey. If you can fit a size 13 or would like to add these to your collection, you can grab them from eBay here.